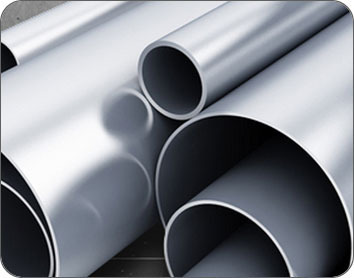 Spark Steel is Manufacturer of Stainless Steel 304 Pipes in India, Stainless Steel 304 Seamless Pipes in India, Stainless Steel 304 ERW Pipes in India, Stainless Steel 304 Fabricated Pipes in India, SS 304 Pipes in India, ASTM 304 Stainless Steel Pipes in India and 304 Seamless Pipes Manufacturer in India. Incepted in the year 1997, We, Spark Steel is acknowledged as one of the foremost names engrossed in manufacturing, exporting and retailing an elite array of Stainless Steel Pipes, Stainless Steel Foils, Stainless Steel U Tubes, Stainless Steel IBR Tubes, Stainless Steel ERW Pipes, Stainless Steel Welded Pipes, Stainless Steel Seamless Pipes and Stainless Steel Fabricated Pipes. Entire range we offer is developed by making use of optimum grade material in compliance set with industry norms & standard. Under these categories we offer Stainless Steel Condenser Tubes, Seamless & Welded Stainless Steel Tubes, Stainless Steel Precision Tubes, Stainless Steel Welded Pipes, Stainless Steel Welded Tubes, Stainless Steel ERW Pipes, Stainless Steel Welded Pipes, Stainless Steel Seamless Pipes. Professionals are working with modish equipment and high-tech machines for designing these products. All the products we offer are of high quality and before offering these products to patrons, we stringently examine entire array on well-defined quality parameters in order to offer fault free range. With our wide distribution network and good transport facility, We are able to offer our products at every corner of the country.